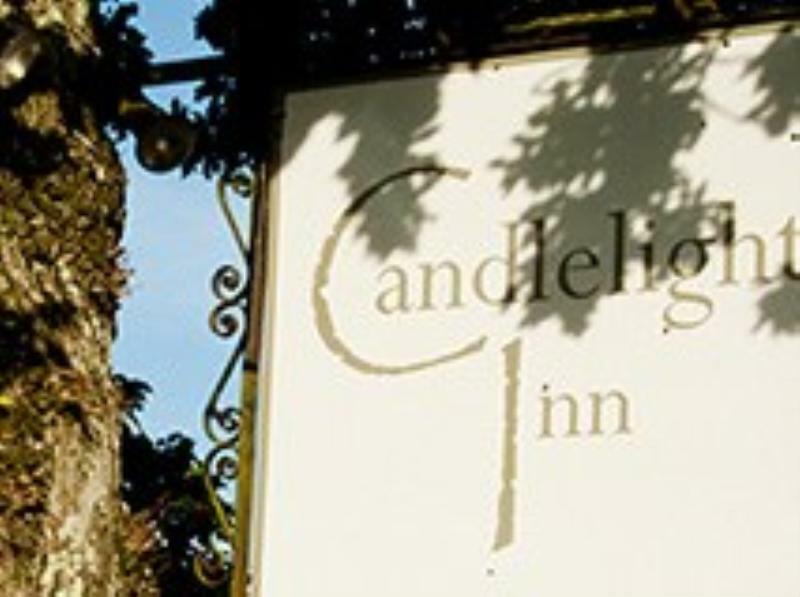 Candlelight Inn is set in the picturesque village of Bishopswood in the heart of the Blackdown hills, some of the most beautiful countryside in Somerset. The new owners, Debbie, Tom and Rodney the chef have taken over this beautiful country pub and have gently refurbished it over the last year. With its original flint walls, wooden floors, intimate lighting and open fires, it has a very cosy and welcoming atmosphere. This is dairy country, so there is an abundance of good local produce on their doorstep and the menu reflects these keenly sourced regional ingredients. To start you might begin with a traditional Welsh rarebit with homemade green chutney or maybe a game terrine with crab apple and chilli jelly. Main courses take in free range pork loin on brawn with white bean cassoulet or baked fillet of Cornish plaice with dill velouté and new potatoes. While desserts tempt with a classic bread and butter pudding and cream custard or warm lemon drizzle cake with raspberry ice cream is always a favourite. There is a reasonable priced wine list, gravity pulled beer and local draught cider on offer. A pretty garden provides a nice area for al fresco dining and barbeques during the summer months and there is a function room available for private parties. We dined here this evening and the food and hospitality was five star, faultless. Thanks to this app - we would never have found this place otherwise. We will definitely dine here again. (Vanilla, chocolate, strawberry, cherry, stem ginger, honeycombe or banoffi ice cream. Passion fruit or lime sorbet).